TORONTO, ON--(Marketwired - November 01, 2017) - Did you know every 6-month delay to launch can mean an average loss of $100 million? Depending on the market you're looking to launch a product in, or what phase your drug sits in development, there are different regulatory factors and milestones you need to be aware of. When it comes to naming your asset, you need a partner to guide you through these milestones to develop the best regulatory submission strategy. In 2017, the FDA introduced new guidance for naming biosimilars and biologics, and the EMA made changes to their name review schedule that will impact submission deadlines and planning. This year, the industry began to understand the impact Health Canada's 2015 naming guidance is having on drug name approvals. But how do these changes affect your trade name development and regulatory name submission strategies? The informative live session featuring speakers from the global branding firm, Addison Whitney, takes place on Monday, November 6, 2017 at 11am EST (4pm GMT). For complimentary registration please visit: Drug Name Development: The Regulatory Changes to Know About & How to Prepare for a Successful 2018. 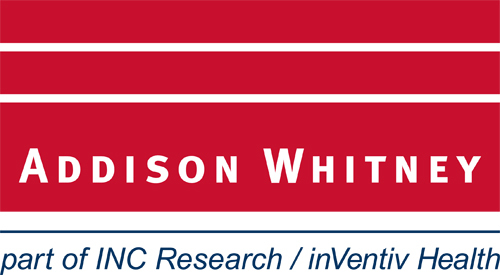 Addison Whitney is a global leader in pharmaceutical and healthcare brand development.